Accept no substitutes! Authentic PelvicBinder® pelvic compression devices are available exclusively from PelvicBinder, Inc. Only PelvicBinder brand devices offer the innovative design, high quality materials and ease of use that you expect. 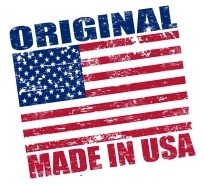 Plus, all PelvicBinder devices are Made in the USA. A safe, simple device for rapid reduction and stabilization of pelvic ring disruptions. The pediatric PelvicBinder® reduces and stabilizes pelvic ring disruptions but it is half the length and half the width of our adult version. The ZipperBelt® provides sternal support and pain relief for patients following sternotomy. Studies have shown that post surgical support of the sternum can help patients recover more quickly and avoid post-surgical complications. The RibFXBelt™ was designed to lightly support painful rib fractures. The BellyBinder™ was designed to provide superior support to spinal cord injury patients as well as the abdominal surgery patient population. PelvicBinder®, ZipperBelt®, RibFXBelt™ and BellyBinder™ are trademarks and registered trademarks of PelvicBinder, Inc.